I help teach the 4-H kids to sew and this would be a great resource. Wow! I'd love to have this to use with my niece now and my kids when they're a little older! I've been teaching my nephew, 12, to quilt. He's done well so far, but it would be fun to have more projects for him, as well as things he could make as gifts. It would be fun to share more with him! My 7 year old son love to sew. We are always looking for new ideas. I'd love to share this book with my 6 kiddos! We'd have a blast! Thanks for the chance! I'd love to win this to be able to better help my granddaughter learn to sew. My daughter just turned 9 and is wanting to learn how to sew. I think this would be a great book for her. 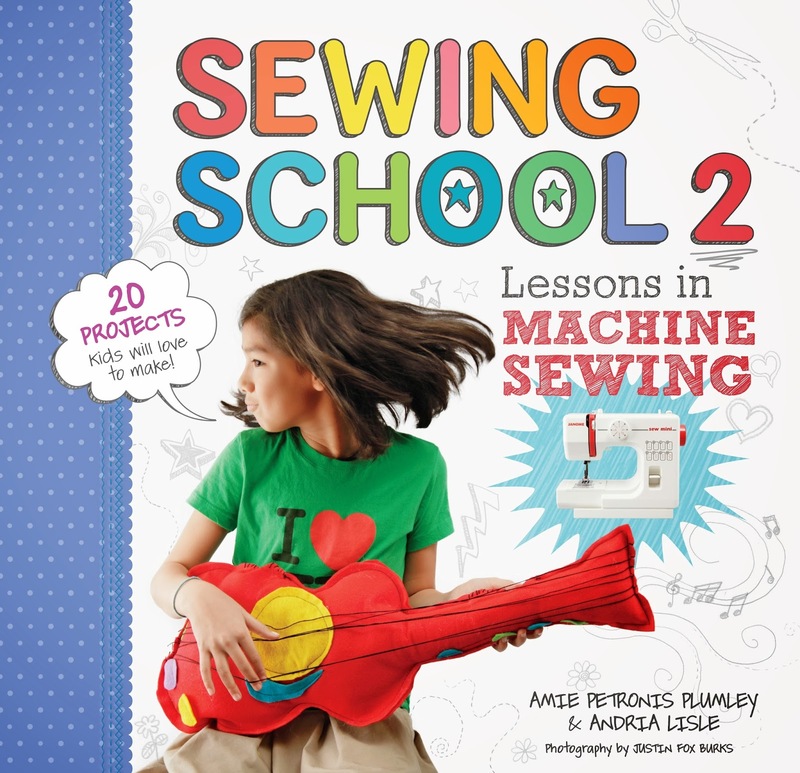 Would love to have this to teach my granddaughters how to sew and quilt (and I'm sure there's some information in there that I could learn from, too! 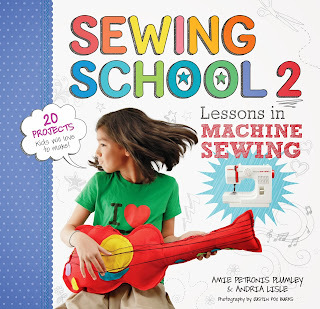 I would love a resource to teach my grandkids how to sew and this one looks great. My daughter didn't get the sewing gene, so it has been difficult for her to learn, even though a few of us have tried to teach her. She is 20 now and still regrets not being able to sew. I think this book might help her. I would love to have this while I am teaching my six year old son to sew! I learned to sew in high school in Home Ec class. I made a lovely skirt. I even wore it to school. I didn't have a sewing machine and never pursued sewing. Three years ago I decided to buy a machine. After it sat for almost two years, I found a quilting class and started sewing. I should never have waited as I now love sewing. tried to edit my comment?? I would use it to help me teach my grand daughter to sew. I am from Florida. The last two summers I have had the pleasure to teach my neighbor's granddaughter (now 10 years old) to sew and quilt. She is 7 hours away and this would be a great helper for her! We homeschool our girls and my girls are very interested in learning to sew. So this is right up their alley. My granddaughter would love this book. She is a sewing nut at age 9 and I want to keep her enthusiasm going. My daughter and I have been working through sewing school number one and she is on love.. we are almost through with book one and she would be so excited to get book two. Would love this for my 7 year old granddaughter. Thanks for the chance to get this for her! I homeschool my 5 daughters and we would love to have this. My 5 year old granddaughter loves to "help" me sew, and I'm always looking for new patterns that she would enjoy making as well as cherishing the finished project for years to come. My 3 yo loves to sew on his "toy" singer (that really sews!) - I'd love to have this to help me teach him as he gets older.